Posted on 18, May 2016 by EuropaWire PR Editors | This entry was posted in Education, Science, United Kingdom and tagged Andreas Mogensen, rocket lettuce, Tim Peake, University of Leicester. Bookmark the permalink. 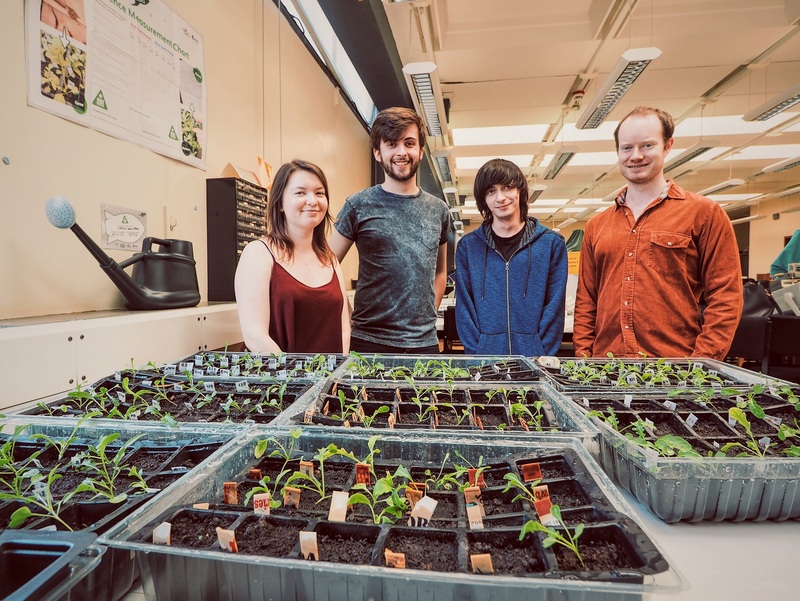 LEICESTER, 18-May-2016 — /EuropaWire/ — Physics students at the University of Leicester have been growing rocket lettuce from seeds that have been orbiting in space. The seeds have spent six months with British astronaut Tim Peake as part of a national outreach project by the Royal Horticultural Society (RHS) and the UK Space Agency (UKSA) and landed back in Leicester last month. Two kilograms of rocket (Eruca sativa) seeds were launched on Soyuz 44S in September 2015 with European Space Agency (ESA) astronaut Andreas Mogensen and his crew, arriving on the International Space Station (ISS) two days later. Tim Peake took charge of the seeds while on the ISS for his Principia mission and after being held for six months in microgravity, the seeds were then returned to Earth with astronaut Scott Kelly for schools, colleges and universities to compare with identical plants grown in the classroom. Half of the 200 seeds growing in a lab in the University’s Department of Physics and Astronomy, have made the journey to space and back and at the end of the trial the students will submit a number of scientific results for analysis by professional statisticians from the RHS and ESA. Daniel Robson, a second year Physics and Astronomy student at the University of Leicester, said: “This has been a great opportunity for our student society AstRoSoc to get involved with something exciting related to current space research and exploration. Each group of 100 seeds is colour coordinated and the students won’t find out until the end of the experiment which group was launched into orbit and which remained on Earth. Daniel added: “We are planning on artificially pollinating a selection of plants in both groups, and also producing mixtures using the pollen from both sets. The students are also looking to work with academics in the University’s Department of Molecular and Cell Biology to help better understand the results of their multi-generational experiment.